Niron Staal, the specialist steel machining and construction company within the Damen Shipyards Group, has once again demonstrated its ability to successfully execute one-off projects to the highest standards. This time its client was fellow Damen company Damen Maaskant Shipyards Stellendam (Maaskant) and the contract was for the hulls and superstructures of two Damen Stan Launches 804. While Niron Staal’s core competency is the manufacture of a wide range of specialist steel structures and components for offshore applications, it is available for it to be called upon to manufacture vessel hulls and superstructures on an ad hoc basis. The project also demonstrated the flexibility that the Damen Shipyards Group can offer its customers. With Maaskant fully occupied at the time that it received the order for the two launches, it was able to access the spare capacity then available at Niron Staal so as to ensure prompt delivery. In the event, Niron Staal worked double shifts to meet the deadline, but not only was the Dutch client pleased to see his new tugs built in the Netherlands, the local construction also reduced the total time needed to fulfil the contract. 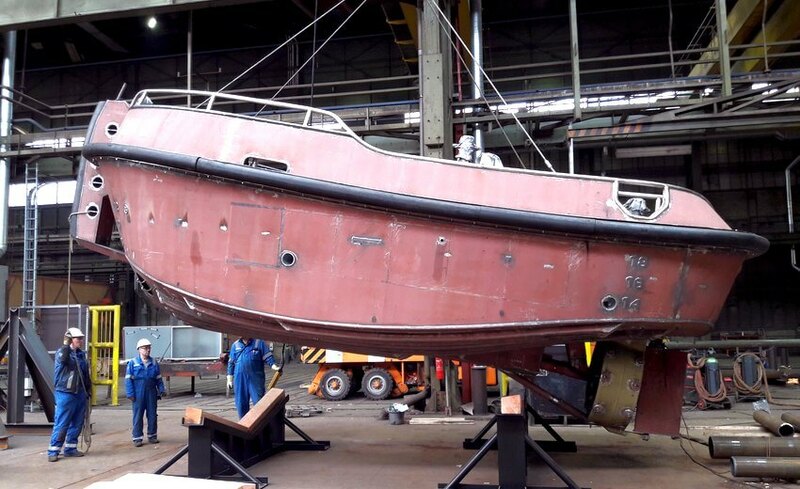 From the start of work to each of the hulls being welded to its superstructure and delivered to Maaskant for outfitting took just 10 and 11 weeks respectively. 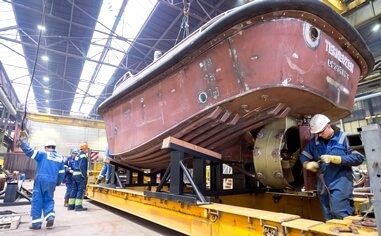 While fabricating the steelworks for entire vessels is not a major part of Niron Staal’s business, it does have previous experience in this area and is looking to do more in the future. In 2017 it built seven Cutter Suction Dredgers 500s, four Pusher Tugs and a utility vessel. In 2016, the factory built in just 70 days a 52-metre Road Ferry for the Gambia Ports Authority capable of carrying 2000 passengers and over 30 vehicles.